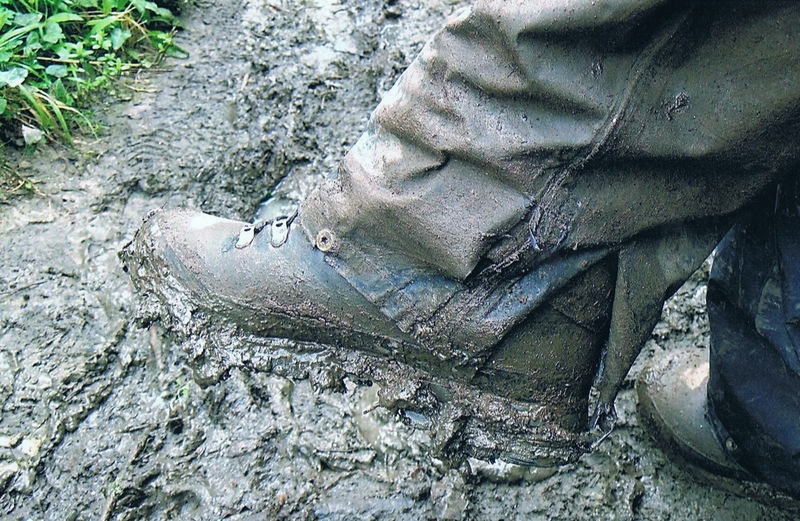 A five day walk through the county of Devonshire. 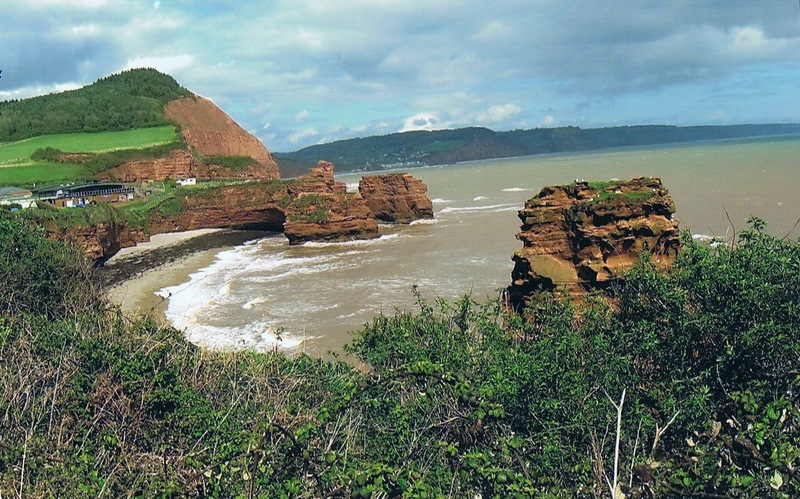 Three days along the South West Coast Path (Jurassic coast) and two days from the East Devon-way. As usual in England the route is very well marked and rarely goes over asphalt. Getting there: a flight to Exeter, the bus to the bus station and a bus to Exmouth (35 min.). Here we started our hike. 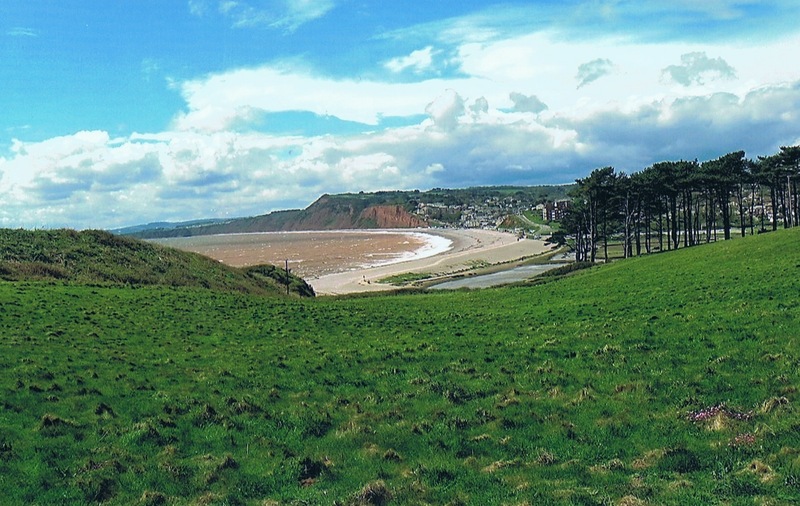 You also can go by train to Exmouth ( Exeter city - Exmouth). 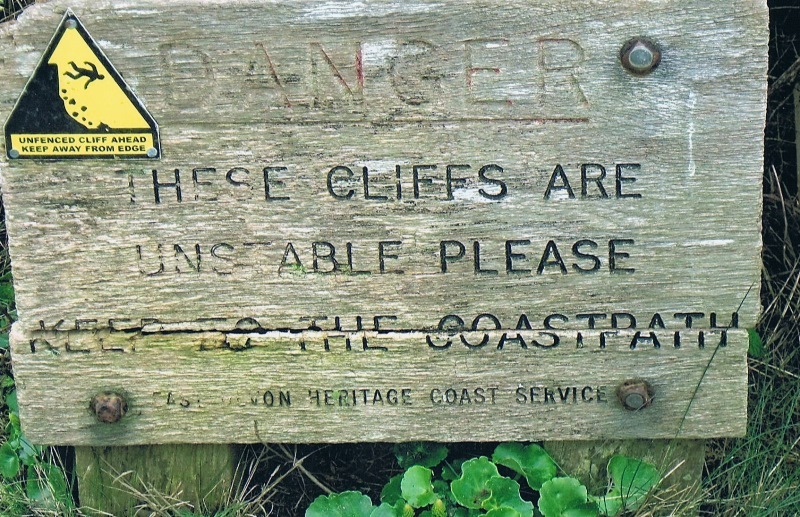 Maps: we used the Ordnance Survey Explorer maps nrs. 115 and 116, scale 1:25.000. Accommodation: the B&B’s, guesthouses, hotels, what ever you want ( to pay). 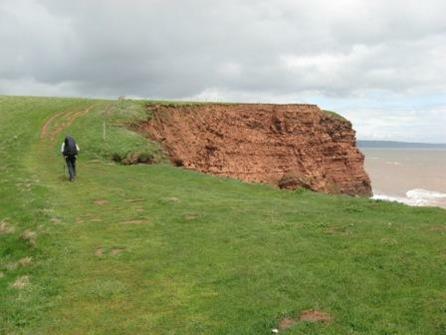 April 2012: a five days hike in east Devon, area of Outstanding Natural Beauty, partly along the Jurassic Coast, partly through rolling farmland. Almost a circular walk. Indication of height: from sea level till 180 m.
And the buses to Exeter airport. 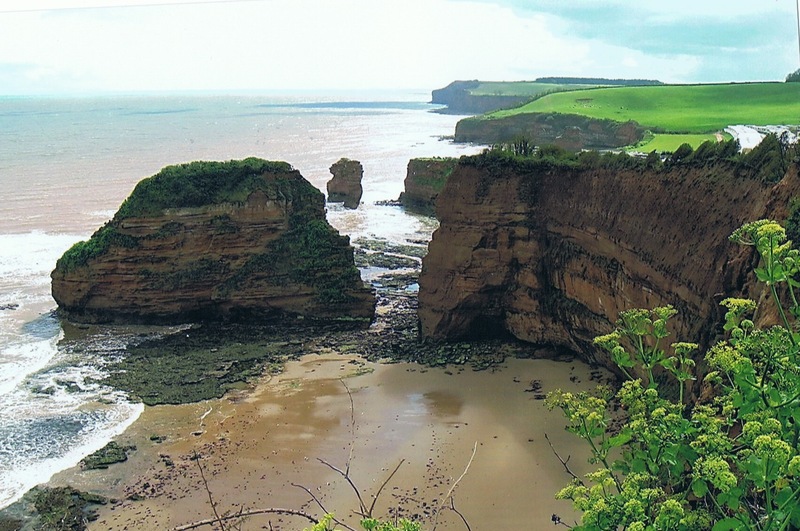 On trail: the coast with the jagged cliffs (World Heritage list), in which you can see how it is created during millions of years, the coast path with almost all the time sight on the beach and the see. Day 2 is filled with ascending and descending. 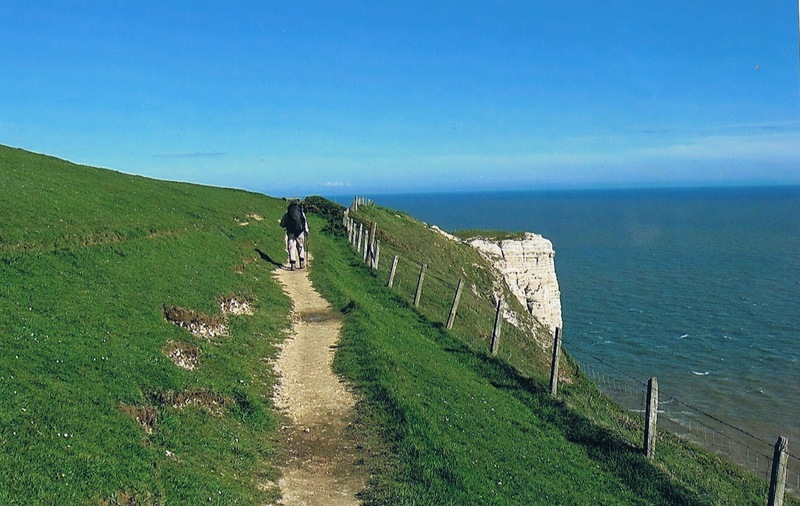 The route to Lyme Regis goes through National Nature Reserve Downland Cliffs: a wooded area. 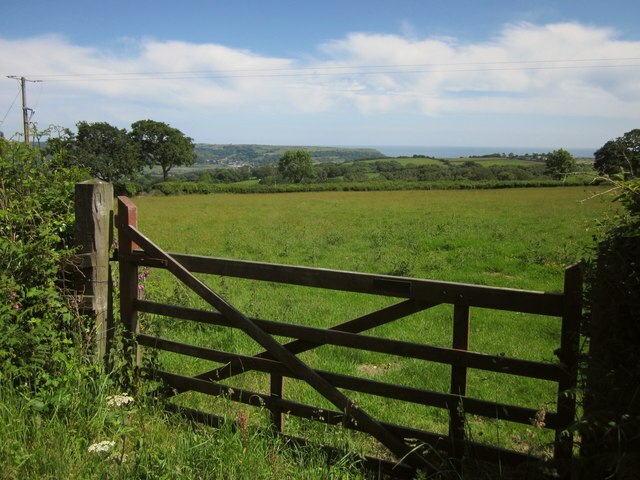 The East Devon-way leads along land cultivated by farmers for centuries and authentic villages, quiet river valleys and welcoming villages. 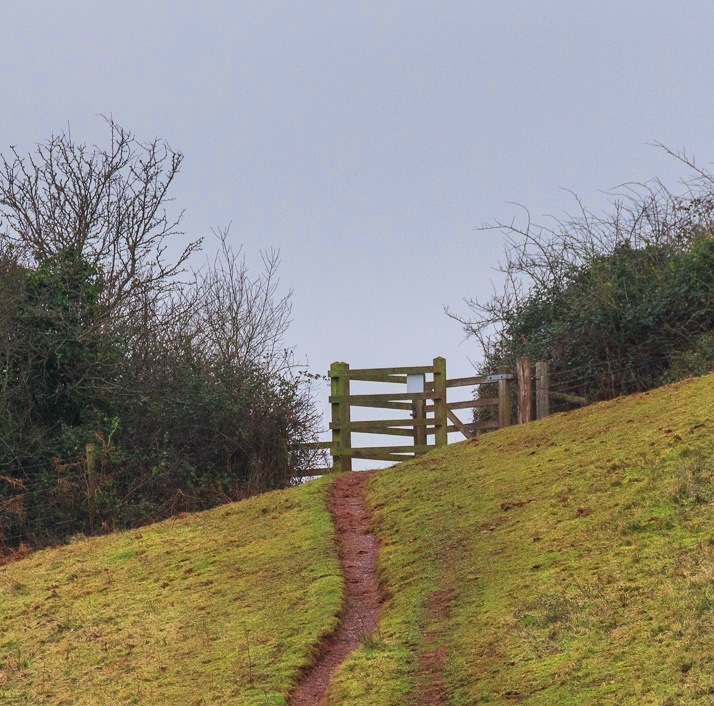 The traditional Devon thatched cob cottages, villages dating back to Saxon times, ancient churches, prehistoric hill forts, oak beamed pubs, leafy lanes and glorious vistas of rolling green hills.